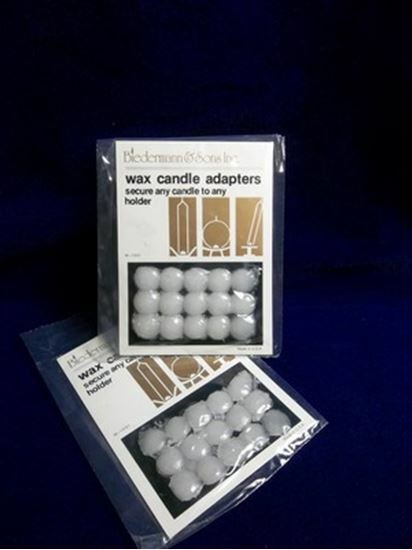 Wax adapters are a soft and sticky wax that is perfect to keep your candles in place. To use, soften one of the small dots between your fingers, and fit it in the holder or put on the bottom of the candle and it will keep the candles securely in place. Wax adapters come in a package of 15 pieces.